It’s time for you to pack your bags and hit the road! This Winnebago View review will have you ready to get away for the weekend – and enjoy every minute of it! 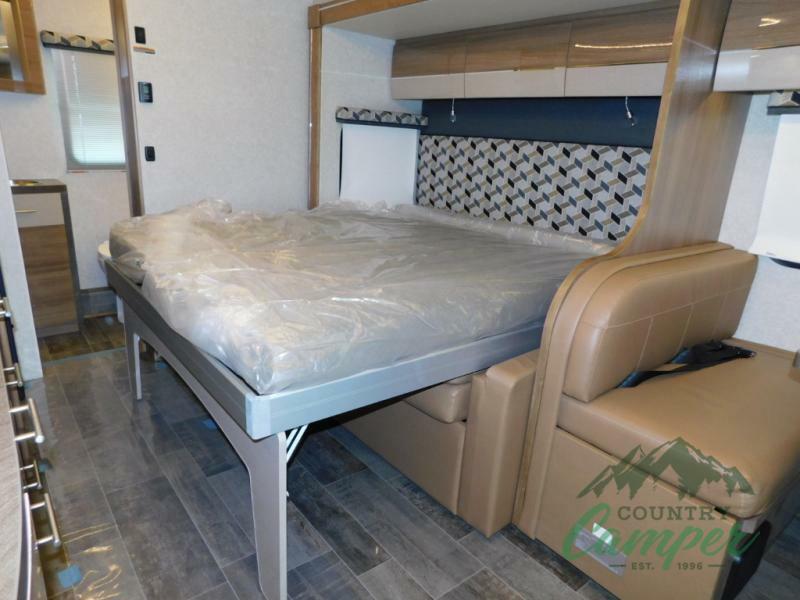 Our Winnebago View 24D motor home for sale is stocked with everything you need for a fantastic vacation – all you need is to throw your bags in and get behind the wheel. Let’s take a look inside! 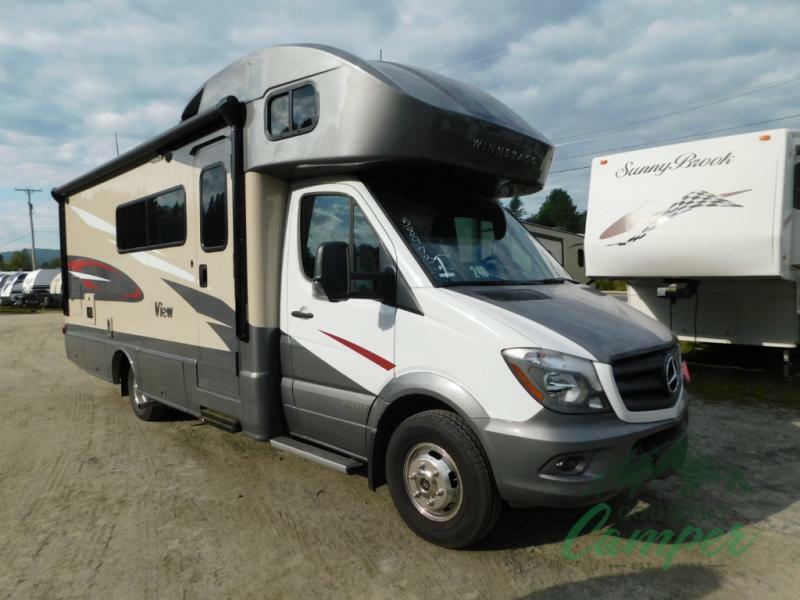 At first pass, you’ll note that this Winnebago Class C diesel motor home is comfortable and spacious. Whether you travel alone, with your spouse, or even bring along your kids or furry companions, you’ll have plenty of room. It sleeps five, includes a Murphy bed, and a slide out to ensure you’re able to make the most of the space. 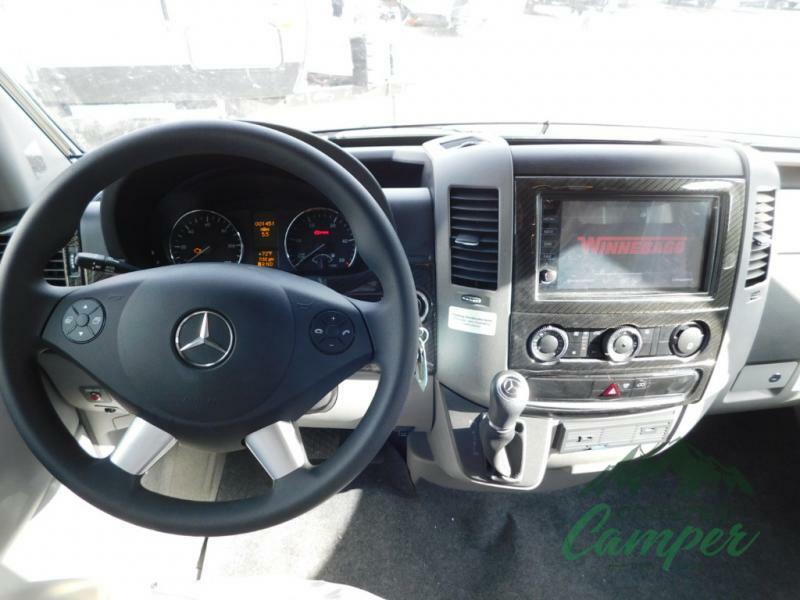 The interior is equipped with LED lights, 32” HDTV, and amplified digital HD TV antenna. Enjoy a family movie night on the comfortable sofa or pull down the Murphy bed! 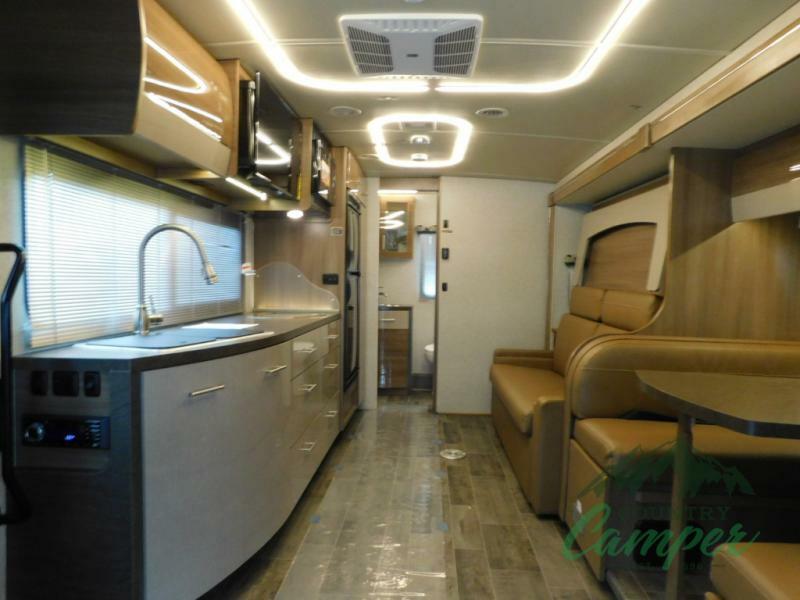 From the driver’s seat to the back bumper, you’ll love every inch of this luxurious Winnebago motor home. The standard features of the gold standard Mercedes-Benz Sprinter Chassis include a 3.0L 6-cylinder, 188HP, turbo-diesel engine, 5-speed automatic tip-shift transmission, and 220 AMP alternator. Our Winnebago View Class C motor homes for sale are truly a delight to drive, and the Winnebago reputation is top of the line. 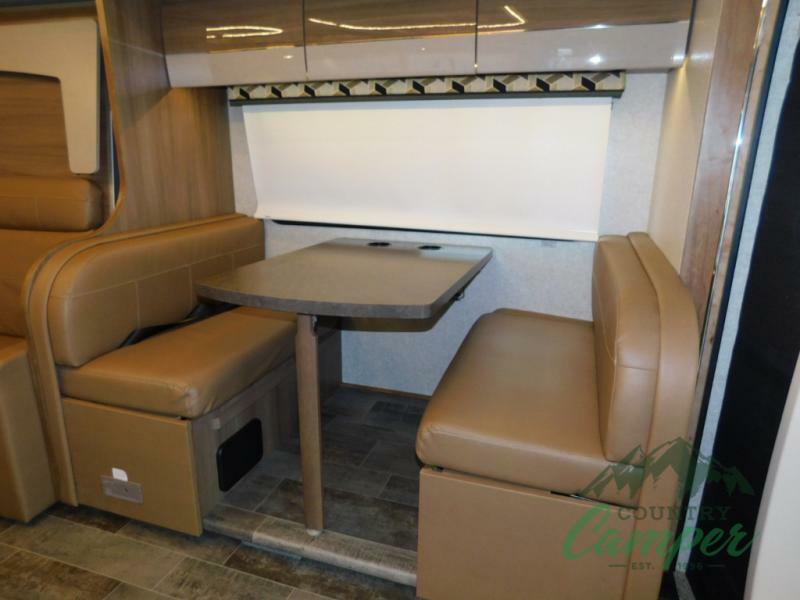 Contact us today if you’d like to compare or explore our several Winnebago View floor plans. It’s time to get away!